The Politecnico di Milano is a science and technology university producing engineers, architects and industrial designers through a variety of innovative specialised courses. The Politecnico di Milano has always been based on quality and innovation in teaching and research, resulting in a prolific relationship with the economic and manufacturing worlds through experimental research and the transfer of technology. Two departments are involved in the project: the Department of Energy as Coordinating Beneficiary and the Department of Design as Beneficiary. The Department of Energy, born in 2008, is a structure that coordinates the activities of 16 research groups into a single structure allows to provide, through an interdisciplinary approach, convenient solutions to the complex problems of the energy sector, now experiencing large importance and strong strategic relevance. Thanks to this initiative, Politecnico di Milano acquires a structure with few analogies in the European context as width of capabilities and depth of knowledge. With this potential, the Department of Energy aims to get an influent and independent role in public issues concerning the high-tech and energy fields. Mission of Department of Energy to push forward technical and scientific competences in the energy sector is achieved by means of high-level education, fundamental and applied research, technology transfer to industry thanks to the work of over 250 people (professors, technical and administrative staff, research fellows and PhD students) members of the Department. The Department of Design was created in 2013 from the InDACo (Industrial Design, Arts, Communication and Fashion). The Department is home to concepts and ideas from different cultures, which meet dialogue and find an environment in which they can express a shared approach and purpose. This unity stems from having internalised the lessons of masters who have come before us: teaching which comes from looking at the world with an ever undeceived, critical gaze, which does not content itself with what is there, but which is continuously driven by the search for new equilibria in relations between people, objects and environments. The “Università Cattolica del Sacro Cuore” is the largest Italian academic Institution; it is active in teaching in academic courses and PhDs, participates to National and European research projects, disseminates results in scientific papers and congresses. The Faculty of Agricultural, Food and Environmental Science has his campus in Piacenza. The Area of Agrarian, Environmental and Food Chemistry of ‘’Department for Sustainable Food Process’’ is dedicated to chemistry research applied to agriculture, to the integrated study of the chemical products used in agriculture and to the protection of the soil, water, plants and air. Among the research themes, there are the analysis of the mineral and organic components of the agricultural and non-agricultural ecosystem, the prediction and estimate of contamination of the environment by mathematical models, the assessment of environmental sustainability of food production. The Feed and Food Science and Nutrition Institute is involved in feed and food nutritional characterization. The main research areas can be summarized as follows: ruminants (dairy) and monogastrics (poultry and swine) nutrition; feed processing and preservation; feed analysis and detoxification for antinutritional factors and mycotoxins; probiotics usage in ruminants and monogastrics nutrition; feeding strategy to reduce the environmental impact of animal rearing; pharmaceutical residue analysis in meat, egg and milk; feeding strategies for fatty acid modification of food from animal origin. ENERSEM is an innovative start up, spin off of the Politecnico di Milano, founded in autumn 2016 on the initiative of professors and researchers from the Energy Department of Polimi and Polihub, the start-up district and incubator of the Politecnico di Milano, managed by the Fondazione Politecnico di Milano. Through the use of a set of data analysis methods and models able to simulate the dynamics of the analysed systems, we provide reliable and advanced solutions for optimizing energy consumption in the civil and industrial sectors. We use FORMULA, a proprietary framework for the collection, storage and analysis of energy and environmental data. We carry out R&D activities within European research consortia and directly supporting SMEs, collaborating with an extensive network of research groups and laboratories outside and inside the Politecnico di Milano. Dating back to 1954, the Consortium for the Protection of Grana Padano PDO cheese – Consorzio Tutela Grana Padano – is a non-profit organization, which brings together producers and curers to protect and promote Grana Padano PDO cheese in the world. It ensures that every wheel of cheese is made according to the Production Specifications so that it can be awarded its PDO (Protected Designation of Origin) status and be fire-branded with the Grana Padano mark whilst also protecting it against fraud in Italy and abroad. The Consortium is based in Desenzano del Garda, in the heart of the Grana Padano production area situated in Northern Italy, along the Po River Valley, from the Piedmont region to the Veneto region, up to the province of Trento in the north-east and, towards the south of the valley, a few areas of Emilia Romagna. Grana Padano is produced following the same traditional recipe created by the Cistercian Monks almost 1.000 years ago. It can be found in 3 different vintages: Grana Padano DOP (PDO), aged 9 to 16 months – Grana Padano “oltre 16 mesi”, aged over 16 months – Grana Padano Riserva, aged over 20 months. In 2016, 4.859.592 wheels were produced of which 1.761.839 were exported. 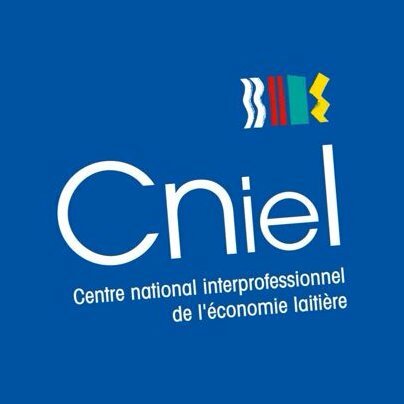 The Centre National Interprofessionnel de l’Economie Laitière (CNIEL) is the French dairy inter-branch organization. It was set up in 1974 as an association approved by public authorities (low n. 1901). It is a private, non-profit organization, which has the responsibility for organizing the French dairy sector in a coherent way and for developing its economic potential. – Economic relations between producers and processors: market monitoring, economic indicators, organization of laboratories, sanitary quality of milk, quality labels (PDO, organic). – Promotion of dairy products and consumer’s information. – Collective research and management of dairy product safety, security and quality: food safety, good farming practices, sustainable development, nutrition and health requirements. As such, CNIEL is involved in several European projects, among which the TTGG project. The Organization for an International Geographical Indications Network – oriGIn – is a non-for-profit Non-Governmental Organization based in Geneva. Established in 2003, oriGIn is today a truly global alliance of Geographical Indications (GIs) from a large variety of sectors, representing some 500 associations of producers and other GI-related institutions from 40 countries. oriGIn campaigns for the effective legal protection and enforcement of GIs at the national, regional and international level, through campaigns aimed at decision-makers, the media and the public at large and promotes GIs as a sustainable development tool for producers and local communities. The Qualivita Foundation is a non-profit cultural and scientific organization, established in in 2002 to safeguard and valorise quality agri-food products and wines, in particular Italian PDO, PGI and TSG products. Recognised by the Italian Ministry of Agricultural Food and Forestry Polices as an organization with extensive scientific and technical experience, Qualivita specialises in targeted marketing and communications, projects, research and training to promote the agri-food sector. Qualivita has always focused on the conception and implementation of innovative tools to disseminate knowledge about the sector, using topics related to the production, culture, history and tradition of PDO, PGI and TSG products. Through its participation in EU and national projects – both private and public – the Foundation has developed a sound knowledge of the sector, consolidating relationships with the supply chain, authorities and institution.